The following article was intended to be a fun way for you to hear the only music ever made by marijuana growers for marijuana growers. The musicians I’m writing about, two brothers whose musical act is called Mendo Dope, make kind songs about growing kind bud. And it isn’t an act…they’re actual California Emerald Triangle growers. As this article goes live, the United States government owes trillions of dollars and is bankrupt. Republicans in Congress shut down the good parts of the federal government: national parks, food inspectors, disease prevention, aid to starving kids. But guess who isn’t laid off? Who continues to collect fat paychecks? The drug warriors. That’s right, the DEA, and state anti-marijuana police, they’re still sucking down millions of dollars per month waging war against the marijuana community. Just hours before the following Mendo Dope article was to go live, drug warriors attacked Mendo Dope. The musicians were arrested for growing and having marijuana, and face serious, potentially catastrophic charges. The bust occurs in California’s Mendocino County, where growers are confused by conflicting laws on plant limits, and law enforcement harassment of even the smallest, legally-compliant marijuana gardens. On Thursday Oct. 10 we “Mendo Dope” lost our entire crop due to a snitch/informant/liar. At least seven Mendocino County Sheriffs and C.A.M.P. officers attacked us because of a snitch call that someone placed saying ‘Bryan and Daniel Eatmon’ had 300 plants and a bunch of guns and told them our address and where to find us. They were attacked by our dog as they came to the front door. Then they came around to the back/side of the house and saw our marijuana TREES. They said they’re going to take the garden because we had 25 plants and the new limit is six. They said we had such big plants, that we had to be making a profit and they didn’t see any of the marijuana to be medical. They handcuffed us to our wheel barrel and drove a wood chipper down into the garden and threw everything into it, and chipped the garden into our blackberry bushes. They didn’t leave even one plant. So we have a SNITCH out there who lied about our garden and us to get the “Police Major Crimes’ unit to take everything we had included what little bit of money we had at the house. Have you noticed there are plenty of songs about being high on marijuana, but hardly any about growing marijuana? Now, a Northern California “rooted in the Emerald Triangle” marijuana music consortium called Mendo Dope is focusing on pot-growing and cannabis seed-breeding songs. When you first hear these songs, if you’re not familiar with what it takes to make cannabis seeds guaranteed to grow out as the strains you paid for, you like the vibe, but have to catch some marijuana cultivation knowledge to totally figure out what the guys are saying. These tunes are entertaining, but they’re also cannabis educational. You’ve never heard marijuana music quite like this. Starting in a homegrown studio in 2007, Mendo Dope musicians and vocalists have been working with N.O.Y.B Records’ Reek Daddy and other top producers and artists to create nearly 20 musical projects that have in the past five years increasingly focused on growing, breeding, and using connoisseur marijuana. The core performers who comprise Mendo Dope are “Old E,” who describes himself as “the song writer, performer, and vocalist,” and his older brother “Bleezy,” Mendo Dope’s producer, engineer, and beat maker. As Mendo Dope gained visibility and musical creds, their networking led to more and more collaborations with top producers and artists at the highest level of marijuana music culture. These guys work hard—they’ve released hundreds of songs in just a few years. Mendo Dope started working with marijuana artist DJ Ignite of Grandaddy Purp Music, and released the collaboration album “Crossing Strains”—a full-on ganja CD. 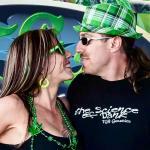 “We had been hesitant to speak out on growing cannabis, but DJ Ignite helped us let loose and be who we’re supposed to be. He was saying do not hold back, you can talk about the cannabis culture lifestyle you were raised in,” Old E recalls. “From then on we created a strong musical vibe together and recorded numerous underground tracks. DJ Ignite introduced Mendo Dope to Platinum producer K-Lou, who’s produced artists including Master P, Mac Dre, Snoop Dogg, E-40, Run DMC…and Mendo Dope. 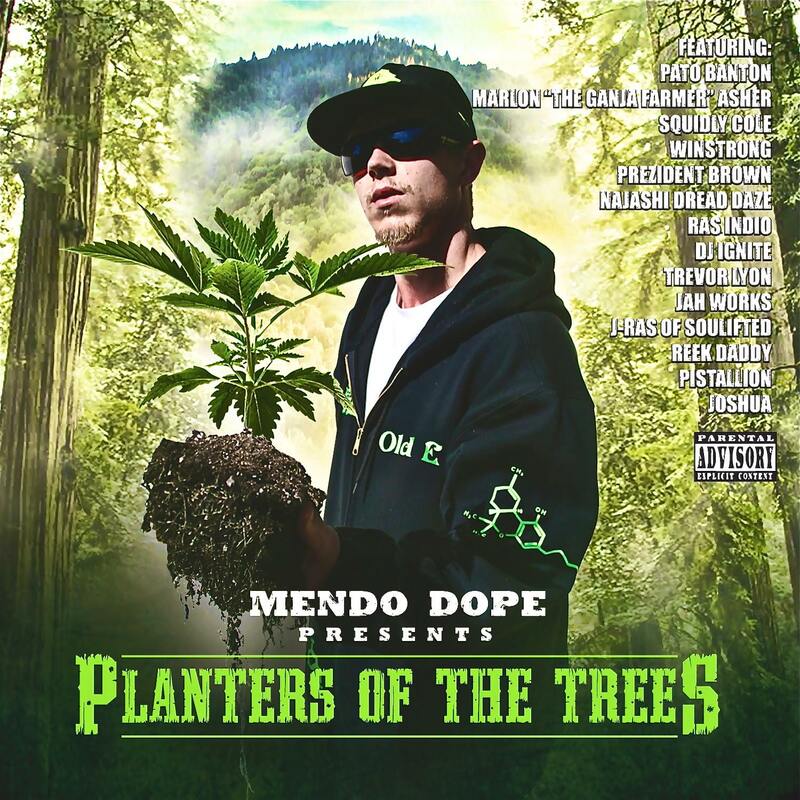 In 2012, Mendo Dope began working on “Planters Of The Trees,” a double disc reggae/hip-hop album “dedicated to the ganja farmers and weed nerds.” The album was released in June 2013 and included tracks about TGA Subcool Seeds. While inhaling TGA strains and getting brainstormed, the musicians formed a musical creative team with Subcool and his TGA and life partner MzJill. Pretty soon, Subcool and MzJill were in the studio with Mendo Dope, having fun laying down tracks for “Subcool’s 10-Pack of Mendo Dope,” scheduled to be released before Christmas, 2013. The way Old E and Subcool describe it, the TGA album is the very first music project centered completely on breeding and growing connoisseur cannabis. Featured on the TGA 10-pack album are Trevor Lyon (bass guitar and vocals), Dj Ignite, and Winstrong. I’ve listened to rough cuts of the songs, and they’re fun, catchy, deep…like a marijuana tutorial you can dance or trance to. This is not marijuana poseur music either. Many people who make music centered on marijuana have no idea how to grow it. But with Mendo Dope, these guys really do grow big buds! Like many other musicians, Mendo Dope use marijuana to increase their creativity and musical talents. But unlike other musicians, they have examined marijuana’s effects on their music, and are willing to explicitly talk about it. The Mendo Dope guys say marijuana is a medicine, and an essential economic foundation for the community they grew up in. It’s also a passion. “We don’t just smoke to get high—we smoke for the taste, the aroma, and the high. People say we are marijuana connoisseurs producing high-grade weed and music,” Old E says. I’m a fan of old school music…more likely jammin’ Pink Floyd, Led Zeppelin, Jimi Hendrix, Bob Marley, Yes, Genesis, or Midnight Oil than listening to the genre Mendo Dope records in. Before I heard any of their music, I wasn’t sure I’d enjoy it. But Mendo Dope combines so many styles, their production and studio work is sparkling, and their lyrics are so fun, interesting, and intelligent (especially for a marijuana grower and journalist like me), that I find myself listening to Mendo Dope instead of all my other tunes. Mendo Dope is the dope.